Dimensions: 7" x 7" x 10.5"
This funky birdhouse will never go out of style. Simple and great looking, the lock & key birdhouse is a perfect indoor decoration, or a quaint home for one your backyard feathered friends. 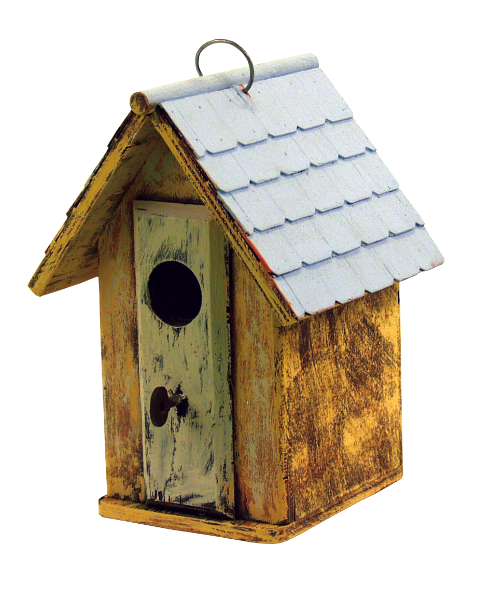 Made of wood, this birdhouse includes a ring for a hanger and a trap for easy clean out.